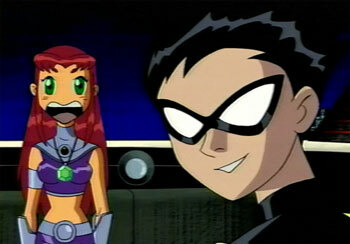 starfire and robin. nothing. Wallpaper and background images in the 틴 타이탄 club tagged: photo nothing. This 틴 타이탄 photo contains 토템 기둥 and 토템 폴.
this laugh and cute noooooooooo!